One of the most outstanding leucadendrons. 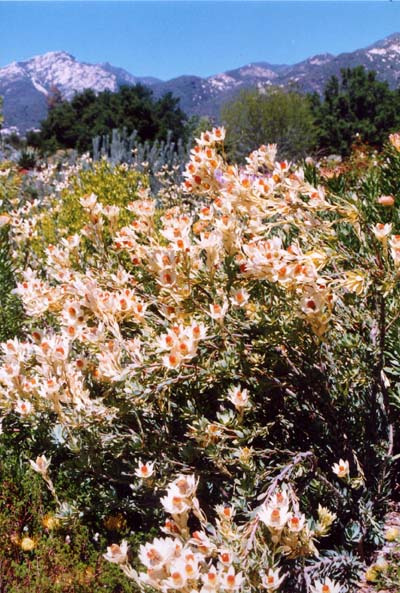 Medium shrub to around 6' with a bushy erect habit if well pruned when young. 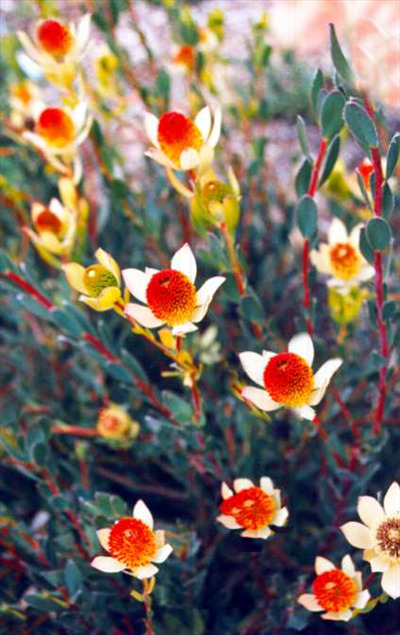 Grey-green foliage and red flowers surrounded by creamy-yellow bracts in spring. Excellent cut flower and garden speciman. Male plants available. Makes a beuatiful hedge or speciman shrub.